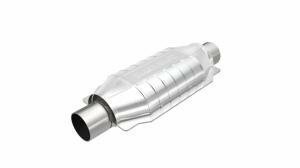 Previous page ‎« Race.FiWebshopHelixMagnaflow performance catalytic converters, gasoline 2" - 3"
Magnaflow performance catalytic converters, gasoline 2" - 3"
Magnaflow excellent catalytic converters for any car. 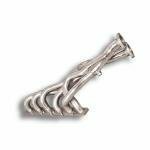 Free flowing catalytic converter is a great upgrade especially for powerful cars. Magnaflow is also a great update to replace the OEM catalyst. Price (incl.vat) 149.00 - 200.00 € / pcs ✔ Delivery time 1 - 22 working days. ✔ In stock. 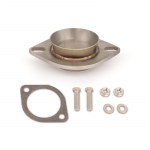 A catalyzer cleans exhaust gasses flowing through it, however most original units are clogged and considerably restrict flow thus further restricting the power of the engine. Free flowing exhaust and minimum emissions? Thats not a daydream, thats a Magnaflow catalyzer. 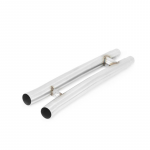 Magnaflow power catalyzers are a must for all serious exhaust upgrades or a DIY exhaust build. In fact, the original catalyzer is usually the most restrictive part of an original exhaust, so you will notice power gains even with an otherwise stock setup and a performance catalyzer. 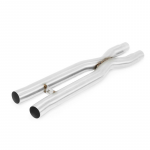 All Magnaflow catalyzers have a steel body. 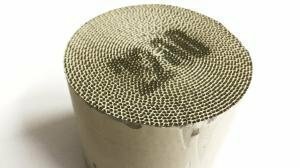 Ceramic models have an oe-style heatshield which is galvanized mild steel. A ceramic unit is a good choice for mildly tuned vehicles, where the metallic version flows even more freely and tolerates more abuse. 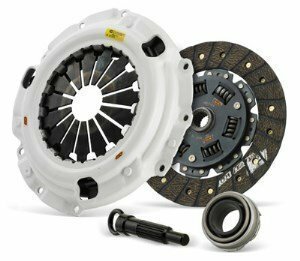 The metallic core can basically absorb and continue to work even when hit in offroad conditions. The catalyzer has about 4cm of pipe at both ends. It can be fitted with clamps, welding, flanges, or with a V-Band clamp which is the best way for a tight seal and easy removal & installation. 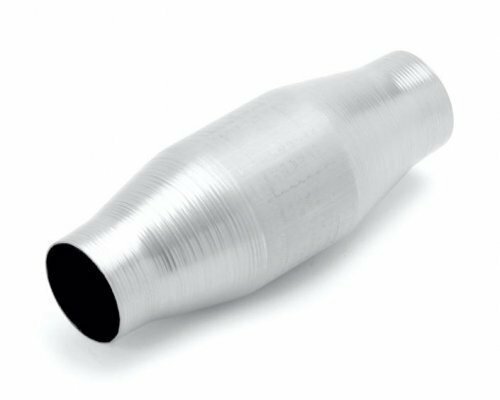 The catalytic converters perform excellently at emission inspections, so you dont have to worry about the emission tests when you take your car to an inspection. Actually, the Magnaflow catalyzers often perform better than the oem unit. 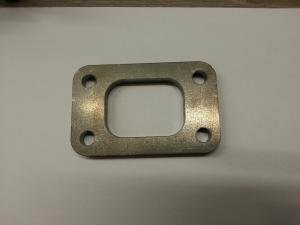 You might also be interested in exhaust gaskets, weldable flanges, V-band -clamps, upgraded exhausts and universal exhaust parts. 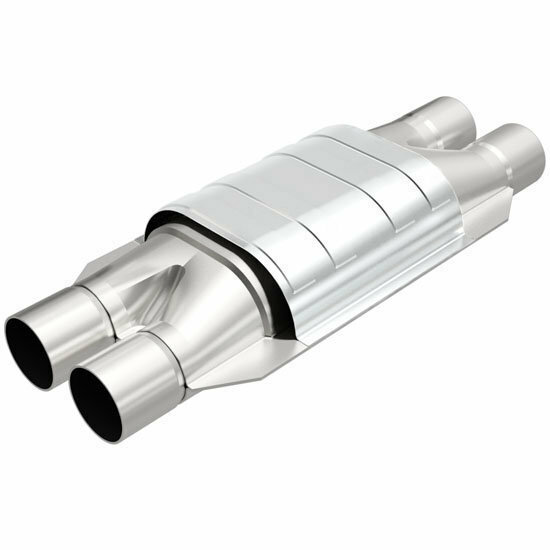 Magnaflow is a US company making performance catalysts for diesel and gasoline engines.